Update: I was thinking that this report was only the second occurrence but I've been reminded that there was a comment against the original entry from a reader who also had one. That would make three, but I have been told of another held by a dealer/collector, so that's four. More may well turn up in kiloware, and of course more could be used on other mailings from the STWC or others. The 2nd class coil (MRIL) stamp self-adhesive with MA10 year code is only known (so far) used by a mailer for the Sunday Times Wine Club, and we know of only two copies in collectors' hands. We understand that a single roll of 10,000 of the MA10 version was used on the mailing - how many ended in the bin? If you're a member of the Sunday Times Wine Club and haven't yet thrown out your mail - we are interested in buying this and will pay well! If it doesn't have security slits, I suspect it is NOT self-adhesive, but conventionally gummed as these are readily available. 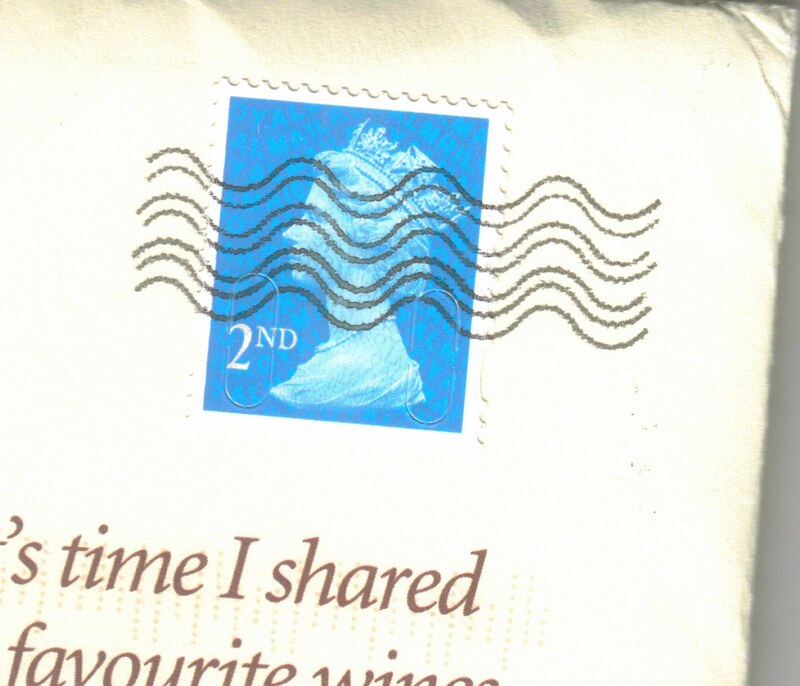 The vertical perfs will be blunted (I had very few 'full' perfs on my supplies from Royal Mail), and the top and bottom may be cut/guillotined by the machine applying them to the envelope. What about 1st class adhesive with security slits MA10 MTIL and MSIL?